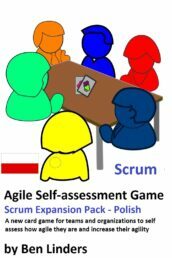 The Business Agility Expansion Pack can be used with the Agile Self-Assessment Game by teams and organizations to self-assess their Business Agility culture and practices. Version en español – Spanish Edition. The Business Agility Expansion Pack – Spanish edition is a PDF with images for 26 cards with statements and supporting material covering Business Agility principles and practices. It has been developed by Ben Linders with Brandi Olson (The Olson Group). This pack should be used together with the Agile Self-Assessment Game – Spanish edition. Este paquete de ampliación de Agilidad empresarial contiene 26 cartas con declaraciones que cubren los principios y prácticas de la Agilidad empresarial. Jugar el juego permite a los equipos reflexionar sobre su forma de trabajar y acordar los próximos pasos para su viaje Ágil. Con este juego pueden descubrir qué tan Ágiles son y qué pueden hacer para aumentar su agilidad para ofrecer más valor a sus clientes e interesados. The pack and game can be used by teams and organizations to self-assess their agility. The basic game consists of 52 cards with statements on applying agile practices. This expansion pack provides 26 cards specifically for organizations implementing Business Agility in Spanish. 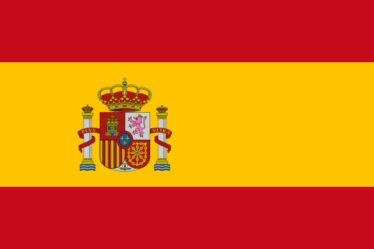 The game was translated to Spanish by Ángel Águeda Barrero, CEO de EvergreenPM.com.